Open House Saturday, 4-13-19 from 11:00 – 2:00. 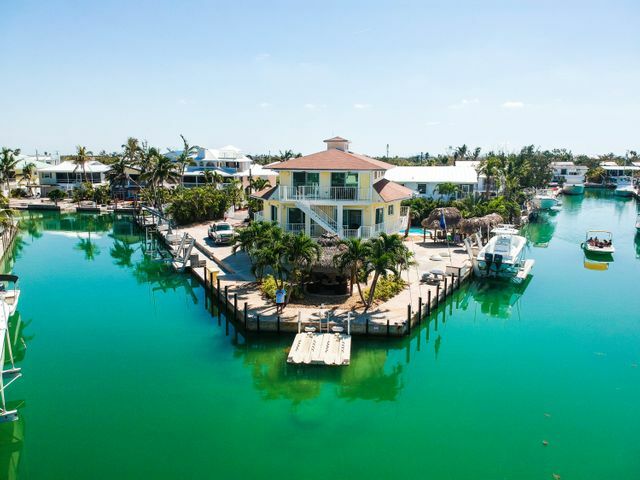 Located on one of the prettiest islands in all the Florida Keys in the best location! This unique gated point estate conch style home in Summerland Key has been completely remodeled with hardy board siding, and over 300 feet of concrete seawall/dockage to include water on three sides. Direct Ocean access with the most incredible views from this home. The huge property is gated and surrounded by lush tropical vegetation for privacy. The grounds include an outdoor shower, 2 heavy duty boat lifts, boat davits, floating dock for PWCs, 2 car garage, ocean view decks, two fish cleaning stations and 4 ”Monster” green underwater lights. There are camera security systems that are viewable via the internet.